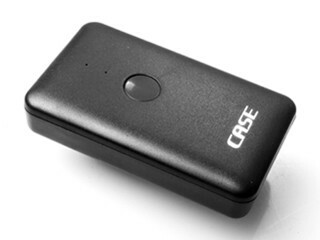 Case Remote Air – Wonderful Little Device! The CASE Remote Air is the world’s smallest and most powerful smart camera controller. The CASE Remote Air enables you to wirelessly control your camera with your smartphone or PC. Simply connect the CASE Remote Air through your camera’s USB, and it will generate a WiFi hotspot, that will connect your smartphone or PC to your camera. It is equipped with advanced functions including live-view, parameter editing, HDR, focus-stacking, bulb, time-lapse, video control, and many more. Although you might already have WiFi built in your camera, The CASE Air gives multiple functions and options that are not available in standard WiFi applications. For example, shutter speed, ISO, white Balance, AF, drive/shooting mode (single, continuous, etc. ), metering mode, and more. It also allows you to adjust bulb and video control. It also supports HDR bracketing and focus stacking. The best thing is, The CASE Remote Air allows to wirelessly control the camera, while maintaining access to your home WiFi or 4G network. You can shoot images, then directly share or upload them through the CASE Air. The estimated retail price for CASE Remote is $138 but it’s now available at Indiegogo to support the project launch for jsut $84. This would be a very nice addition if you need that extra range and features of an efficient wireless controller, either for wildlife or for HDR and focus stacking.